I have recently begun reading oneshots and the reason for me not reading them is that I am left unsatisfied and I want more of the characters! 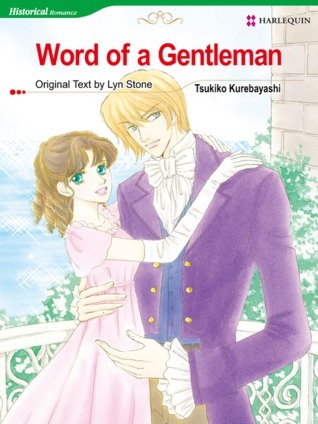 Anyway, I found this oneshot in the historical romance genre (my favourite genre of all time) so I decided to take a look at it.The plot of the story is very good. The flow is acceptable, the characterisation was done well, the climax was there. However, the only thing that left unanswered for me, what the hell was Hugh and that woman doing when Clarissa saw him before he went to the war that clarified to her that he was never interested in her and never would be. In the later pages, the reader is told that they both had feelings for each other way from the beginning. So what was Hugh doing at that time?Other than that, a good oneshot! My bad - I read this previously and completely forgot about it! The story is rather forgettable, but I think I enjoyed it slightly more this time than the last (2009). The dialog not fitting into the word balloons still drove me nuts, but the story worked better this time around. It's still too rushed, but I was more into the road trip vibe. The art has some odd proportions, but overall is pleasant and a good match for the story.